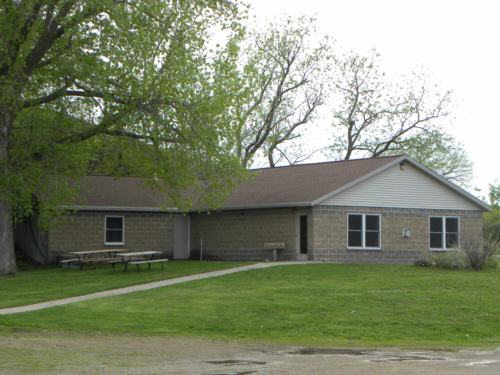 We have year-round facilities that are available for rental groups to use throughout the fall, winter, and spring. We have winterized buildings that can be used for a number of different purposes. 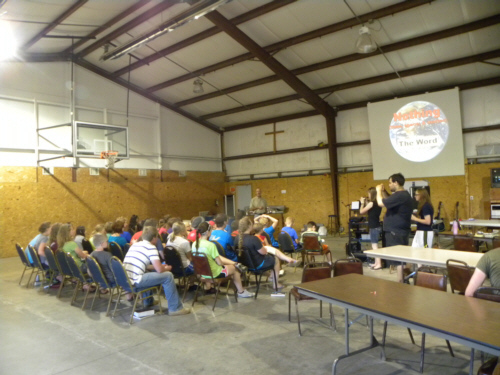 Please contact us when your church, organization, group, or family need a place to get away. We would love to be able to suit your needs. Our retreat center has a meeting room with seating for 30-50, a kitchenette, and 48 dorm-style beds divided into two rooms - each with their own bathroom/shower facility. 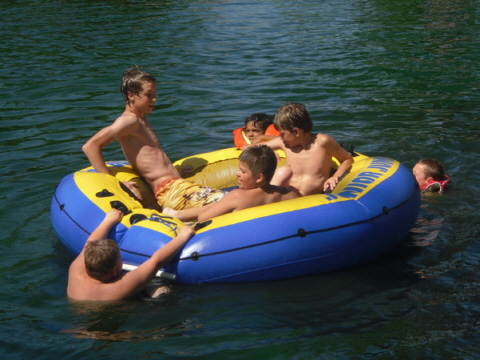 We also have 3 cabins available that hold between 12 & 16 each. These have a designated bathhouse. 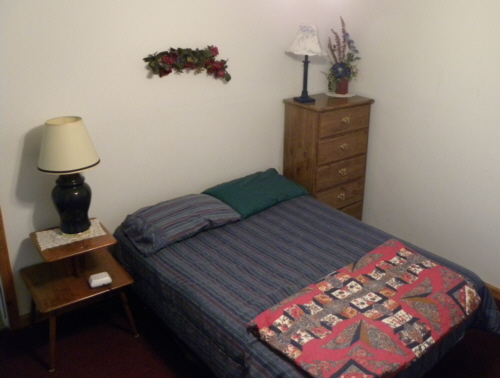 We have 7 Private Rooms available. 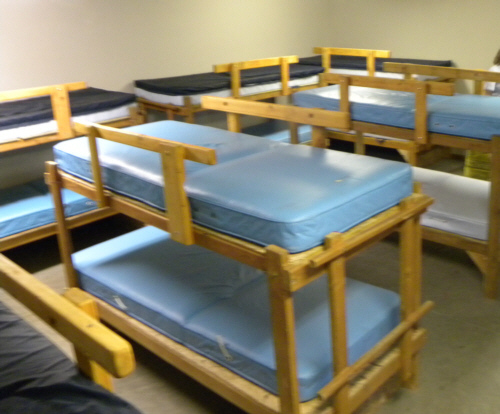 Four have queen-size beds and the rest have a combinations of beds for families or small groups. These rooms share 3 separate individual bathrooms with showers. Our Main Building/Dining Hall has an open 3/4 Gym that is used as a dining hall, recreation room, and large meeting room. It has a basketball hoop and sports balls, 10 tables, seating for 100, and a screen for projecting. Our fully-equipped kitchen is available for use by groups that want to provide their own meals. We have chest freezers and a walk-in fridge that are available. 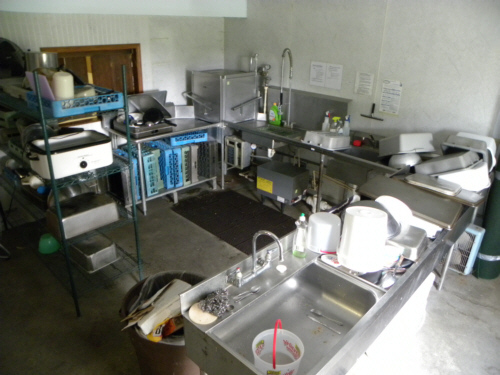 We have a separate dishwashing room with a sanitizer if you would like to use our plateware, silverware, glasses, serving utensils, and pots & pans, so please bring clean-up staff. Otherwise, please bring disposable plates, cups, and silverware. Plan on bringing your own food, cooks, and clean-up staff.